This article gives you complete information on Taj Mahal which is a UNESCO World Heritage Site located in Agra, India. Learn the history of Taj Mahal, it's unique attractions in the article. The Taj Mahal is not just another tourist place in India but one of the most beautiful tombs holding immense historical importance and standing with pride. It's one of the Seven Wonders of the World. This beautiful tomb receives millions of visitors every year from every other place in the world map. 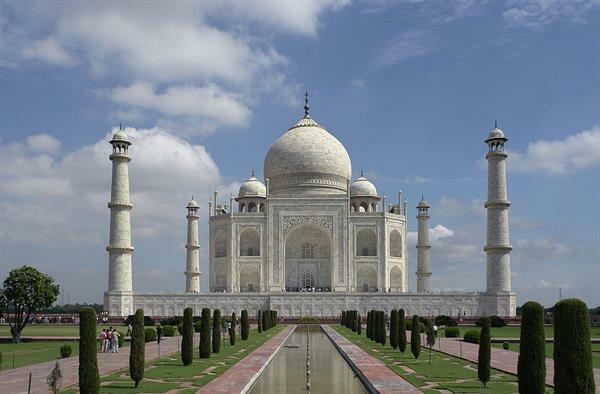 In 2003, More than 3 million people visited Taj Mahal. It's the pride of India. 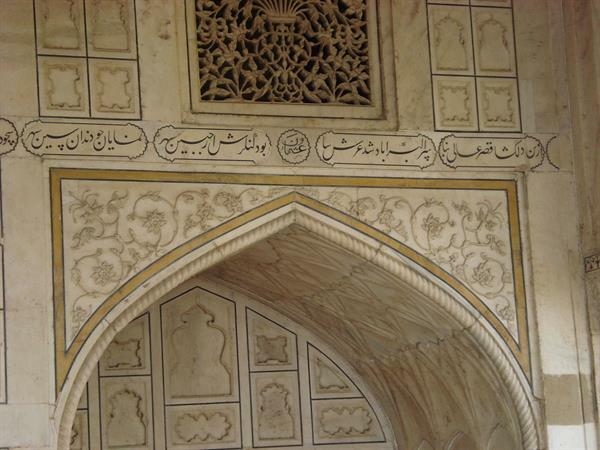 This article is about information on Taj Mahal that are unique and lesser known. Taj Mahal is located in Agra, Uttar Pradesh, which is some 6 hours drive from Delhi. The construction of this tomb structure started in the year 1632 and completed in 1653. World class architects led by Ustad Ahmad Lahauri and highly skilled workers make Taj Mahal beautiful and special from other buildings. What makes the Taj Mahal special? The UNESCO declared Taj Mahal a World Heritage Site in 1983. Also know was the Jewel of Muslim Art in India, this mind blowing tomb and beautiful building in the world is built by Mughal Emperor Shah Jahan to regain the memory of his third wife Mumtaz Mahal. Mughal Garden is a must visit place when you visit Taj Mahal. It is near to Taj and is set with exquisite beauty which attracts more visitors. The building is constructed using luxurious marbles which was imported from different places like Rajasthan, Punjab, China, Tibet, Afghanistan, Srilanka and Arabia More details about important facts, location and reaching Taj Mahal are quoted below. Taj Mahal visiting time: Everyday Sunrise to Sunset (6 am to 7 pm). Friday closed for prayers. Visitors can easily reach Taj Mahal, Agra through Air, Rail and by road as Taj Mahal location is easily accessible. Indian airlines fly daily from Delhi to Agra. You will reach Kheria Air Force Station, the only Airport of Agra and from there take a taxi or rickshaw to reach Taj Mahal. Trains are also available which includes The Shatabdi Express, Taj Express, and Intercity Express. Nearest railway stations are Agra Cantt Railway station, Raja-ki-Mundi Railway station and Agra Fort Railway station. High class buses are also available with A/C and non-A/C facilities which run from all major stations including Delhi, Jaipur, Lucknow, Gwalior, and Jhansi. * 22 years taken to complete the construction of Taj Mahal. * Cost of constructing Taj Mahal includes 32 crore rupees. * Precious stones are used for the construction of Taj Mahal. * Marbles from Rajasthan, Punjab, China, Tibet, Afghanistan, Srilanka and Arabia are used in the construction of Taj Mahal. * Annually, 2 to 4 Million people from different countries come to see Taj Mahal.